Is it possible to get a Slipped Disc in the Jaws? Spinal discs as the name apply are in the spine. More specifically, they are situated between spinal bones of the neck, upper back, mid back and lower back. Spinal discs functions are to bear the weight of the body, connect spinal bones together, provide shock absorbance and allow mobility. The Articular discs or Articular Disks also provide shock absorbance, connect bones and allow mobility. Articular discs are found in several joints such as the wrist joint, sternum, and of course the jaw joint. In this section, we will concentrate on the articular discs of the jaw joints. 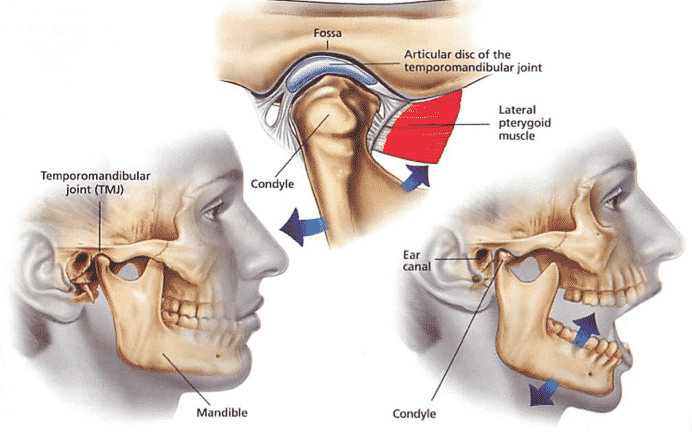 Is there a “Disc” or “Disk” in the Jaw Joint? Articular discs of the jaw joints are the most common causes of TMJ pain. The good news is that it can be treated with our conservative treatment options. This unique arrangement enables it to provide the shock assurances needed during the daily function. When subjected to trauma or increased stress they can get damaged. The exact mechanisms of damage to the jaw discs (articular disks) are not fully understood. However, the damage is possibly the result of excessive stretching of the in directions that the disc is not reinforced by collagen fibers. As mentioned earlier, the collagen fibers run front-to-back and top-to-bottom. But, it must be said that the top-to-bottom or the supero-inferior directions of the cartilage fibers are limited in numbers. As such, frequent or repetitive motions, such as those experienced when chewing gum can damage the superoinferior cartilage fibers. A damaged fibrocartilage fiber leads to internal derangement. Internal derangement of the articular disc is the leading cause of slipped disc in the jaw. Internal derangement refers to the malpositioning, subluxation or misalignment of the jaw disc. The most common cause of a slipped disc in the jaws is an internal derangement of the jaw joint (TMJ or Temporomandibular Joint) is anterior misalignment, displacement or slippage of the articular disk. 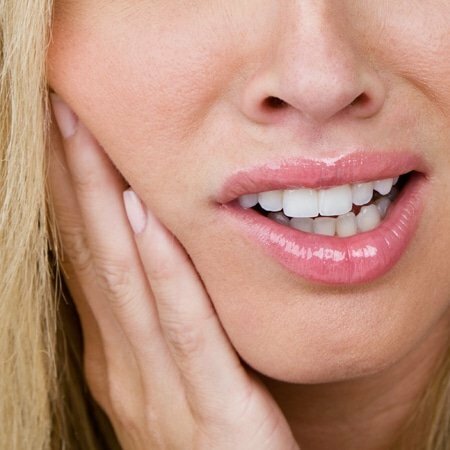 Symptoms of slipped jaw discs are often localized jaw pain, and audible popping sounds with jaw movement. Diagnosis of an internal derangement or slipped disc in the jaw is based on patient presentation, past history, familial history, and precise examination of the jaw joint as well as the neck. X-ray films are of some use, but MRI assessment is the best means of confirming a diagnosis of a slipped jaw disc. The best means of treatment is through conservative physiotherapy, physical therapy, chiropractic, and splinting (night guards). We are adamantly opposed to any form of invasive procedures as they are too risky and often fail to provide the long-term relief patients need. However, if the joint soft tissues are severely damaged or if there is fractures or complete dislocation coupled with avulsions of ligaments, surgery may be needed. We will discuss these in greater details in the appropriate sections below. There are two types of internal disc derangements or slipped disc in the jaw: Internal derangement with reduction and internal derangement without reduction. Both of which are described below under signs and symptoms. Signs and Symptoms of slipped Jaw discs or internal Derangements of the jaws? As mentioned earlier there are two types of a slipped disc in jaws with reduction and without reduction. Internal derangements with reduction are the type of slipped disc in the jaw in which the jaw disc (articular disc) returns to normal position. Slipped disc in the jaw with reduction (internal Derangement with Reduction) is the more common one. It is often accompanied by a painless clicking or popping of the jaws with the opening of the mouth. 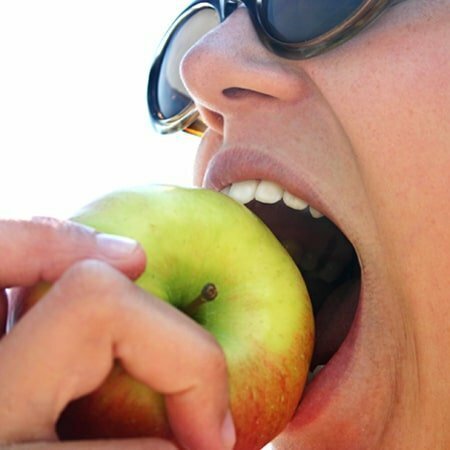 However, pain can be present when chewing or when biting on foods that are hard like meats or nuts. The popping or clicking sounds are always louder for the patient. Often a sufferer with an internal derangement with reduction feels annoyed or gets embarrassed as it can be heard during quiet meals. A neglected internal derangement with reduction can progress to an internal derangement without reduction. A slipped disc in the jaw without reduction or internal derangement without reduction is often the opposite. It is a condition in which the jaw disc slips, but does not return to normal position upon opening or closing of the mouth. And as such, they are termed “internal derangement without reduction.” Sufferers often complain of jaw pain and restriction during the opening of the mouth. 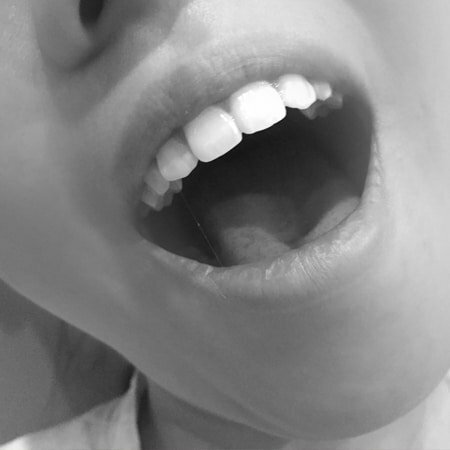 The average normal range for an open mouth is about 45-50 mm (the distance between the upper and lower incisors). An Internal Derangement without reduction reduces this range to 30 mm or lower. If neglected it can lead to severe jaw pain, tinnitus, nausea, neck issues, headaches and even locked jaws in the morning. What are the Most Common Symptoms of Jaw Pain when the Articular Disc Slips? Noteworthy point for patients that suffer from jaw pain or a TMD (Temporomandibular Joint Dysfunction) often has neck pain. And, the opposite is true as well. Neck pain patients who suffer from a slipped disc or slip-disc often have as associated TMD (jaw pain or Temporomandibular Joint Dysfunction). 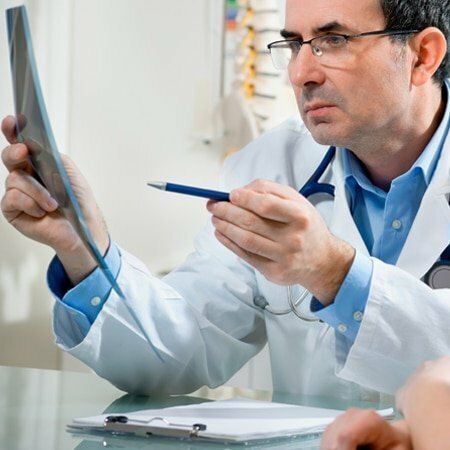 Therefore, if you suffer from a slipped disc in your neck or have a slipped disc in the jaw, get treated by experts that have a better understanding of both conditions. The best clinical non-surgical center for jaw pain and neck pain is our centers. We offer the best slip-disc treatment for neck or jaws in Malaysia. What is the best treatment for the Jaw? The best means of treating any jaw pain is a conservative measure. Jaw disorders including the slipped disc in the jaw can be effectively treated with timely care. Chronic or neglected conditions are also treatable through our conservative methods of treatment but require more therapy sessions. For best results, try to get treated through our clinical teams within the first six months. As with any condition, the longer it goes untreated, the harder it is to fix. NSAID’s (Non-Steroidal Anti-Inflammatory Drugs) such as ibuprofen can help with symptoms of swelling and capsulitis. However, before taking medication, you must speak with your medical doctor to make certain it is the right options for you. Some with chronic conditions opt for steroid injections. But, we would discourage you from this route. Steroidal injections are beneficial to pharmaceuticals and not the sufferers. Therefore, we are adamantly opposed to this useless procedure. In fact, you may get more harm than relief, as the chemicals injected cause further damage to your jaw’s soft tissues, including the articular disc (jaw disc or jaw disk). Surgery should be the absolute last option. So, opt for our targeted methods of physical therapy, chiropractic, physiotherapy, and rehabilitation to avoid surgery today. We mentioned earlier that slipped jaw discs or internal derangements can cause neck pain. In fact, in almost all cases of slipped discs in the jaws, there will be some neck involvement. Therefore, when you opt for jaw pain treatments always seek centers that excel in jaw pain and neck pain treatments. In short, we should be the first on your list. Why Our Jaw Treatment Work Better? We succeed when others fail. Our clinical successes in treating patients with jaw pain are the result of our research-based system of integrative treatment approach. In our centers, we combine the clinical benefits of chiropractic, physiotherapy, physical therapy, nutrition, and splints. Each has its importance. When it comes to jaw malfunction, there are no silver bullets. In other words, there isn’t a single method that can fix it or a magic pill that corrects the problem. It takes knowledge, skills, and technology to treat a slipped disc in the jaw effectively. In addition to the physical therapy (a manual form of physiotherapy), chiropractic and physiotherapy treatment, we may refer you to a dentist for a customized jaw splint (dental guards, mouth guards or night guards). In this manner, you get the best holistic treatment for faster recovery. Dental guards, mouth guards, night guards or splints are devices customized and made by dentists for patients who grind their teeth at night. Grinding of teeth (bruxism). Bruxism is defined as an involuntary or a habitual grinding of the teeth during sleep. It is relatively common in patients with a slipped disc in the jaws. Splints or guards help relieve symptoms of capsulitis by raising the bite and re-positioning the jaw joint. Furthermore, it protects the jaws of patients who grind their teeth during sleep. If you have a dentist with whom you feel comfortable, by all means, contact them for this splint. If not, we can refer you to a dentist whom we have worked with in the past. In short, our level of jaw pain treatment is the most comprehensive of all methods provided in Malaysia. Visit our center today to learn more about our jaw pain treatment options. What Type of Treatment Do We Offer? As mentioned, ours is a holistic approach. Slipped disc in the jaw is always present with inflammatory processes and soft tissue damage. In other words, jaw pain patients will have some degree of capsulitis or synovitis. Synovitis is an inflammatory process in which the lining of the jaw joint 9synovium) becomes inflamed (synovitis). Capsulitis is the inflammatory processes that impact the connective tissues. Inflamed articular disc and soft tissues of the jaw joint (ligaments) are referred to as causalities. Why is this important? There are many centers that neglect treatments for synovitis or capsulitis. Some prescribe medication while others entirely ignore this simple fact. However, in our centers, we will recommend nutritional supplements that enhance the therapeutic benefits of our physical therapy, chiropractic and physiotherapy treatment. When you jaw joint ligaments or synovium is damaged, specific nutrients can help the recovery process. Our clinical teams may recommend some food supplement to complements the manual and modality assisted treatment they provide you. Our treatments incorporate the best methods of physical therapy, physiotherapy, and chiropractic. Physical therapy is the manual therapeutic measures, stretches, and exercises that we provide for you. Physiotherapy is the machine rendered treatments given to you via therapeutic ultrasound, Interferential current therapy, shockwave therapy or other devices. And chiropractic treatments are specific for the realignment of your jaw joints and neck joints when needed. So, call us, and get the best treatment for your slipped disc in the jaw today!